This month is really flying by, isn’t it? Happy Valentine’s Day, dear Readers! Honestly, I’ve never been all that into Valentine’s Day. It seems to me, that I shouldn’t need a special day to tell my loved ones that I love them. However, Valentine’s Day does provide a great opportunity to chat about something ELSE I love… Fantasy Books! And not just any fantasy books. Today I’m talking about CLASSIC fantasy books that I think everyone should read. Now, how do we define “classic”? Well, generally a classic is something that has stood the test of time and has been judged of the highest quality and outstanding of its kind. So… that means we’re going to take a look at older books today. But, because fantasy is a newer genre in general, we also have to take the “test of time” monicker with a grain of salt. Also, this is MY list of classic fantasy books that I think everyone should read. So it’s only going to have books on it that I 1) actually enjoyed reading and even re-reading, and 2) think that most people who enjoy the fantasy genre would enjoy. I can’t speak for people who don’t like fantasy… I don’t understand their tastes. Also, I’m excluding children’s books because I’m planning a post revolving around them later this month… so don’t go shouting at me about that, I didn’t forget about them! 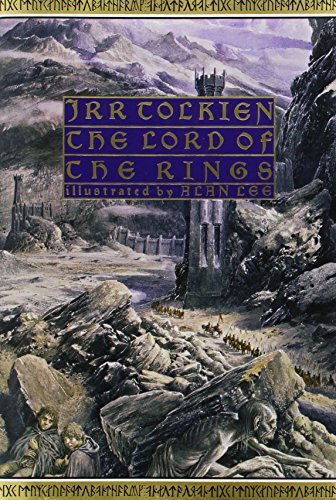 Right here leading the charge we have the ultimate classic fantasy… The Lord of the Rings by J.R.R. Tolkien. In many ways, this is where the genre we know as “fantasy” today really started. (Sure, fairy tales and mythology existed long before this, but Tolkien is the first one who took those stories and turned them into something new). Till We Have Faces seems to be one of C.S. 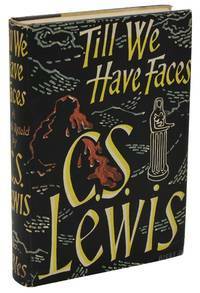 Lewis’ lesser-well-known novels, but it is my favorite of his. Based on the myth of Cupid and Psyche, Lewis turns this ancient tale on its head and uses it to point us to the truth about love and redemption in a powerful way. I think even non-fantasy fans would enjoy this one. 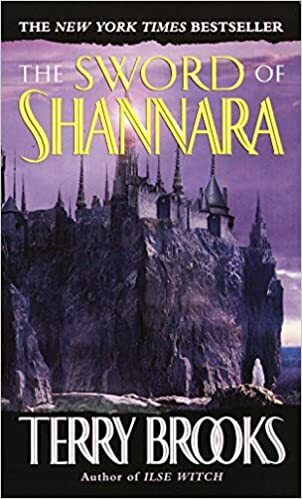 I already talked a little bit about this author last week, so it should come as no surprise that I’m putting The Sword of Shannara by Terry Brooks on this list. An epic quest, a mysterious magical mentor, a dark lord plotting to destroy the world, a legendary weapon, and the hope of the realm resting on one unsuspecting young man… this story is as classically epic fantasy as it gets! 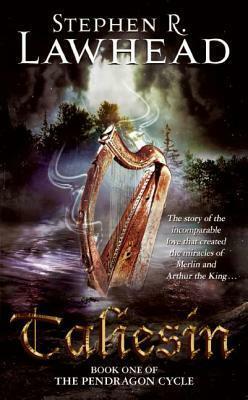 The legend of King Arthur is a deep well from which springs so much modern fantasy. While I have read parts of Le Morte d’Arthur, I’ve never read the whole thing, nor is it something I am putting high on my priority list – in spite of my love of all things King Arthur. However, I cannot recommend Stephen R. Lawhead’s Pendragon Cycle highly enough. Particularly the first book: Taliesin. I love the beautiful way that Lawhead weaves this story, staying true to the legend while also making it wholly his own in extremely unique and interesting ways. And my favorite part of this series is that in his version, there is no Guinevere/Lancelot infidelity garbage. 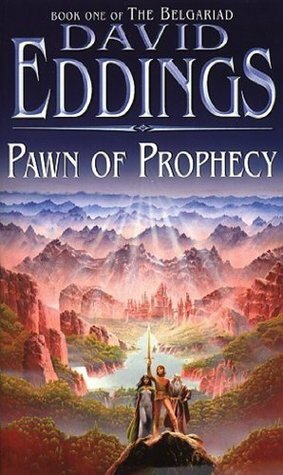 If you’re looking for an epic saga of classic fantasy, you really can’t go wrong with The Belgariad by David Eddings. Starting with Pawn of Prophecy, this series follows the quest of young Garion and a group of mentors who band around him to seek to recover a stolen object of ancient power. Along the way, Garion learns that he is not who he always believed himself to be, and that his heritage is far more than he ever dreamed. He also learns that his guardians are more than they seem. I mean, it says it on the cover “A Classic Tale of True Love and High Adventure”! So that’s really all that needs to be said. I love this book for its cleverness, for its hilarity, for its entertainment value, for the adventures, and for the story-within-a-story device which is one of my all-time favorite storytelling techniques. I also love that even though I saw the movie first, I really can’t ever quite decide whether I like the book or the movie better… they’re both favorites. Fencing, fighting, torture, true love, revenge, fire swamps, and Rodents Of Unusual Size… I mean… what more could you want in a story? I would be remiss indeed if I left off Beauty by Robin McKinley. I read this one when I was in jr. high, and it was the first real fairy tale retelling I’d ever read. I already loved fairy tales, but I often found them lacking in… character development, I guess. This was the first time I’d read a fairy tale that sucked me in and wouldn’t let me go. I devoured the book in an afternoon, then re-read it immediately the next day. 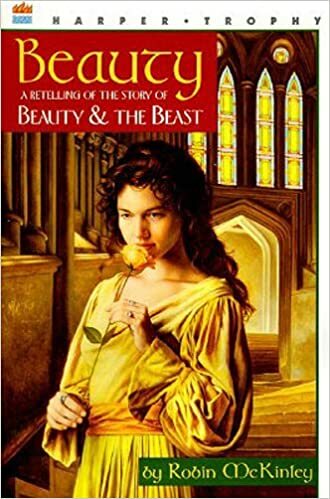 To this day it remains one of my favorite retellings in general, and one of my favorite versions of Beauty and the Beast. This one is further down on the list simply because you really have to commit to reading all 7 books, and that’s a bit more to ask, even of a dedicated reader. But if you want high fantasy, extremely unique world-building, an ending that you won’t see coming, and a tale with the golden heart of redemption at its core… then this is the series for you. The Death Gate Cycle by Margaret Weis and Tracy Hickman was one of the first fantasy series I ever read. I did a more in-depth discussion of this series a couple of years ago, you can read it HERE. This ends my section of “classic fantasy I’d recommend to EVERYONE.” However, there are a few more I’d like to highlight as perhaps honorable mentions. I can’t recommend these widely to “everyone” because of more mature/adult themes, but they do fit the criteria of classics that I enjoyed and I realize that some of my adult readers might be able to handle these. I don’t usually recommend The Wheel of Time series by Robert Jordan here on the blog. The reason for this is that although books 1-3 are very clean, book 4 and beyond are NOT. Unfortunately in book 4, various characters start sleeping together thus making this a seriesI cannot recommend as being “family friendly” and that is my brand – which I work very hard to protect. However. If I’m recommending classic fantasy books that everyone should read. 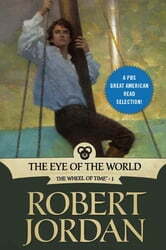 I do and can recommend The Eye of the World, the first book in the series. Like I said, books 1-3 are very clean, but please be forewarned about books 4 and beyond. Partially just because this series is so very iconic, and partially because the complexity of the story and the characters are absolutely incredible. 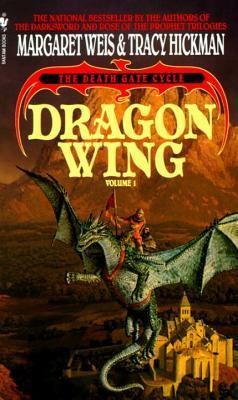 The series has issues (books 5 – 10 could have easily been condensed into 2 novels and I don’t think the story would have suffered from it) but as far as an author handling an absolutely massive cast and juggling hundreds of subplots without dropping any of his batons… it is a wonder of the classic fantasy world. 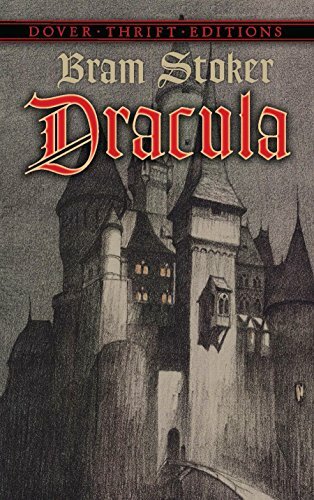 Dracula by Bram Stoker was on my summer reading list my Jr year of high school. I generally greatly dislike reading books when they are assigned reading (a little bit of rebel lives in me) but I was absolutely blown away by how much I loved this book in spite of “having” to read it. The style is very different – as the book is written as if it were a series of notes/letters/journal entries… and at first I thought this would make it super boring. I couldn’t have been more wrong. This book swallowed me whole. It is terrifying, though. And pretty dark. So I would recommend this only for older readers or those not sensitive to darker/scarier themes. And finally on my list, The Oath by Frank Peretti. That’s still my favorite cover art of all time. This one is super dark, okay? That’s part of the reason it’s so far down on the list. It also includes instances of infidelity and two characters who are not married sleep together, so I wouldn’t consider it “clean.” However… the saving grace is that these things are definitely not portrayed as “okay,” not by a long shot, and there are severe consequences. Peretti is a Christian and so while the themes in this story are more adult, I feel he handled them well. I can’t say a whole lot more without giving away major spoilers, but this dark, gothic-style fantasy is a fantastic portrayal of the murky depths of sin versus the shining brilliance of redemption. This one gave me nightmares, so again… I wouldn’t necessarily recommend it lightly to EVERYONE, which is why it is down here in this honorable mention section. And there you have it. A list of 11 classic fantasy books I loved. Now it’s your turn! What are some classic fantasy books you’ve read that you would recommend? Do you have a list of fantasy books you think everyone should read? I agree with most of this list in theory — I haven’t read a lot of the books on it, sadly. But based on what I know of those books, I think that most of them should be here. I do disagree with the inclusion of The Princess Bride, but I’m well aware that I’m in the minority on that point. The main book I would add is Terry Pratchett’s Guards! Guards! It’s been around as long as some of the other books on this list, and it truly is excellent . . . though, I suppose it would go in the “Adults-Only Classics” section, not the “Everyone Classics” section. Other fantasy humor authors wish they COULD be Terry Pratchett. Even some non-humor-based fantasy authors wish they could be Terry Pratchett. And Guards! Guards! is one of his best works, even now. I really need to read Pratchett. I’ve read “Maskerade” and that’s it… and I was super lost, because the person who bought it for me didn’t tell me it was book #18 in the series. LOL And that info was indicated nowhere on the book itself, so I read the whole thing and kind of went, “eh?” I mean, the book was well-written and enjoyable, but I had NO context for any of the characters … PLUS (this is not Pratchett’s fault) but I had never seen any version of “Phantom of the Opera” so all the humor was pretty lost on me. Sadly, that experience left me with a rather apathetic taste in my mouth about Pratchett, plus he’s one of those authors who seems to have hundreds of books and I get overwhelmed trying to figure out where to start. Oh dear. No, Maskerade wouldn’t be a good starting point for anyone, I don’t think. There are a few different really good entry points, but my recommendation is Guards! Guards!. It’s the eighth book in the series, but the thing about Discworld is that it’s really made up of half a dozen linking subseries, and you can really start at the beginning of any of those subseries without much trouble. It involves dragons and mysteries and a disgruntled city watch captain (who’s rather a mess, but there’s more to him than meets the eye) and some rather interesting insights on humanity. Alternately, you could start with Going Postal, which comes rather later in the series but doesn’t require any real background knowledge. Here you’ll find Moist von Lipwig, a charming conman who, given the choice between death or taking over the failing postal service, chooses the postal service . . . which just might be a death sentence of its own. Just — whatever you do, don’t start with Rincewind. Some people like Rincewind, but I do not, and I don’t think you’d be a huge fan of him either. He’s best when tempered by other characters. If you absolutely have to start with a Rincewind book, start with Sourcery, which has a more interesting storyline and better writing than the first two Rincewind books — which are also the first two Discworld books, but I think Pratchett was still sorting out the style and the world and such when he wrote them and just really aren’t his best. Start with the Watch, start with von Lipwig, start with Death or The Truth or the witches, even start with Pyramids if you like, but don’t start with Rincewind. I started with Guards! Guards! and Mort, and those two are still my favorites! Both beginnings of mini series within the overall series. And March Magics is for DWJ /and/ Pratchett. 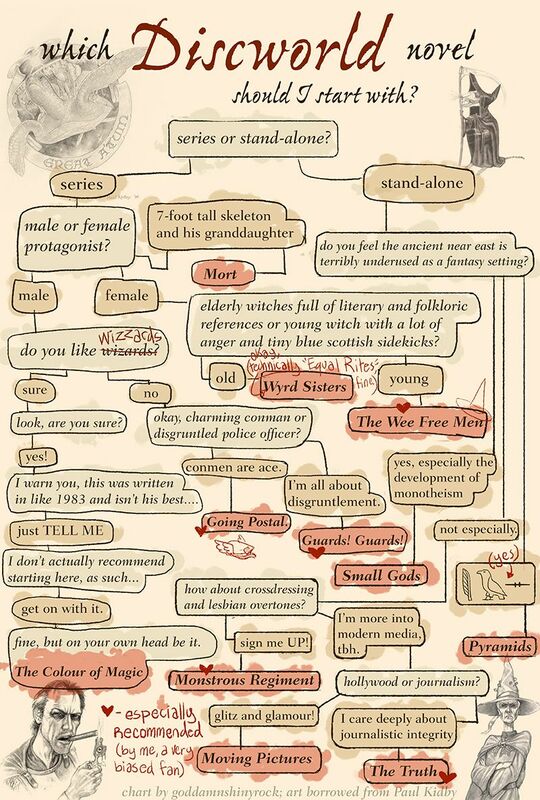 I haven’t read most of these except The Princess Bride! Thanks for the recommendations! On my list I’d add Nine Princes In Amber, Dragonriders of Pern, and Eragon. Happy to help! I haven’t read Nine Princes in Amber, and never could get into Anne McCaffrey. Ahhh, Beauty! That was one of the most influential books on my writing journey and a dear favorite! I’ve read all of your classic fantasy suggestions except The Belgariad and The Death Gate Cycle. I used to love epic fantasy but got burned out on it long ago. I picked up too many highly lauded books only to be bored or disgusted. I also think I am a lazy reader, and epic fantasy requires heavy time investment! I love LOTR, Till We Have Faces, and Beauty–I’ve read all of them more than once, which doesn’t happen often anymore. I’ve read Beauty more times than I remember. I even read it aloud to my kids back in the day. I enjoy Terry Pratchett and second the recommendation of Guards! Guards! as a starting place. I also loved Reaper Man and Going Postal. Some of his books are better than others, which is to be expected! The Belgariad is good, though I actually liked the Mallorean better (kind of a sequel series – it’s really fun to get to see the “what happens next” part of the story after the initial quest is over, you don’t get to see that as often) and yes, epic fantasy does require more commitment to read than other genres! Totally hear ya on that. But I love it, and I hate saying good-bye to my favorite characters, so I highly prefer a story that has a lot of books in it to stand-alones most of the time. Till We Have Faces is excellent! I read it a few years ago and loved it! Definitely due for a reread. And what Fantasy list would be complete without Tolkien and Lewis? I’m always amazed at how many people haven’t even heard of it! And of course Lewis and Tolkien had to be included on the list as the fathers of modern fantasy fiction! I’m so ashamed! I’ve only read LOTR and The Princess Bride on this list! :O But I just picked up a copy of the first Death Gate Cycle book and Sword of Shannara, and I’ve been meaning to read Beauty and Taliesin FOREVER. This is an excellent reminder to read Dracula and Till We Have Faces and Eye of the World, all of which I have around and have been meaning to get to… I haven’t heard of the other two!